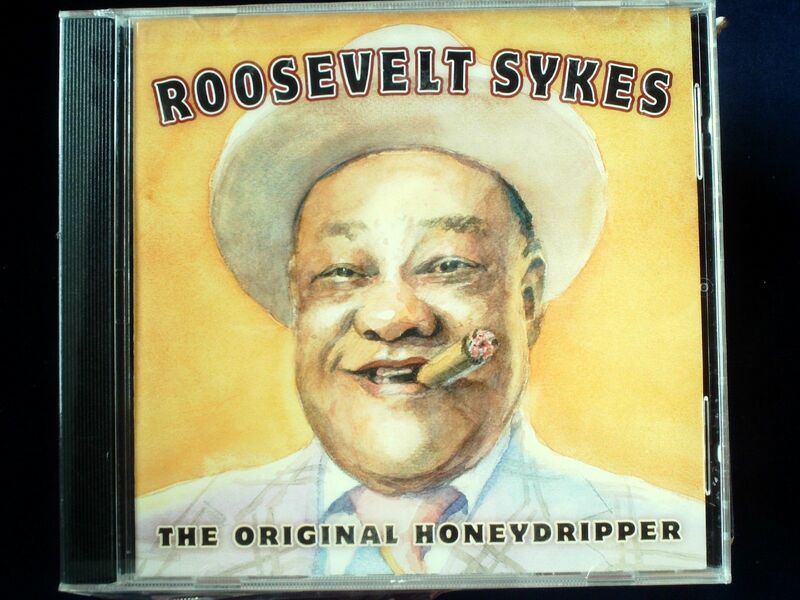 ‘The Honeydripper’, Roosevelt Sykes was probably the most important of the several piano Blues innovators who came out of St.Louis the inter-war years. This square cut figure with the elegant suit and the fat cigar was capable of pounding the keys in a rowdy barrelhouse style and he could boogie-woogie with the best of them, but he also introduced a complex, jazz influenced phrasing that sounded more urbane and ‘modern’ that his contemporaries. 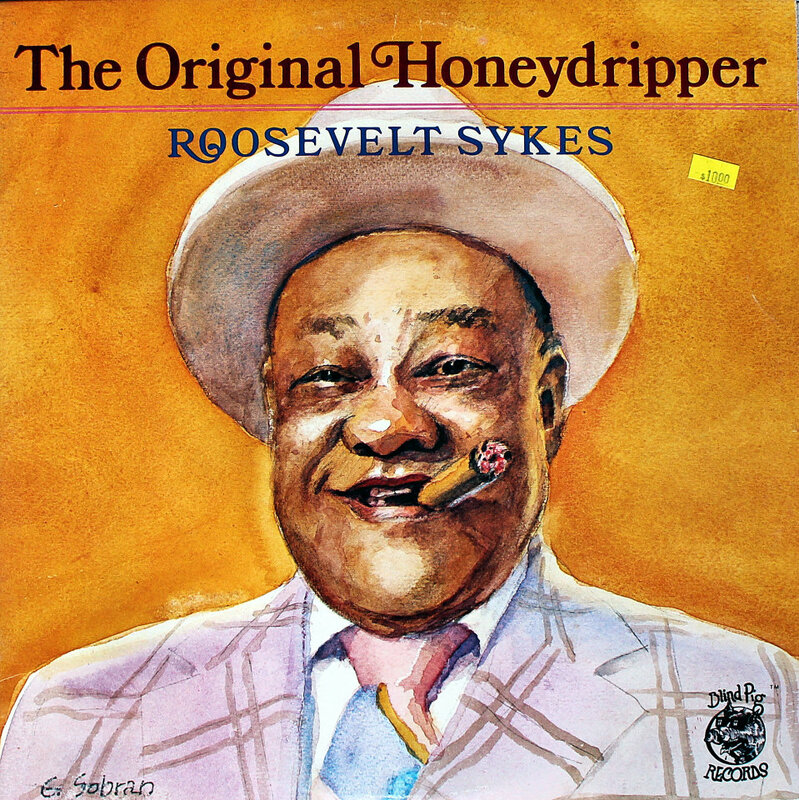 In 1944, Roosevelt formed The Honeydrippers, a band with horns, and this rollicking outfit recorded and toured for nearly a decade. Roosevelt moved to New Orleans in 1954 where he took up residency at the Opera House Club and later the Golden Eagle Saloon. 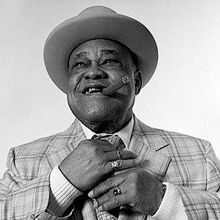 He could still be seen in Memphis and St. Louis and kept on recording, notably with Dave Bartholemew in the Crescent City. 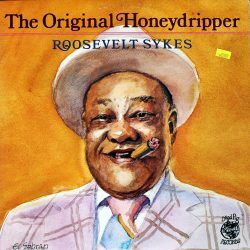 When the Europeans came calling in the early 60s, Roosevelt answered that call, becoming a popular figure on the Folk/Blues Festival circuit. He cut several albums in Denmark and Paris, including memorable sets with his long-time admirer and some-time imitator, Memphis Slim.